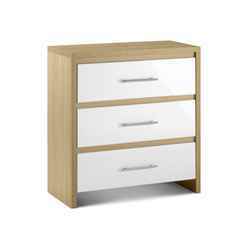 The Sleek Light Oak and High Gloss Chest is a natural and practical piece. 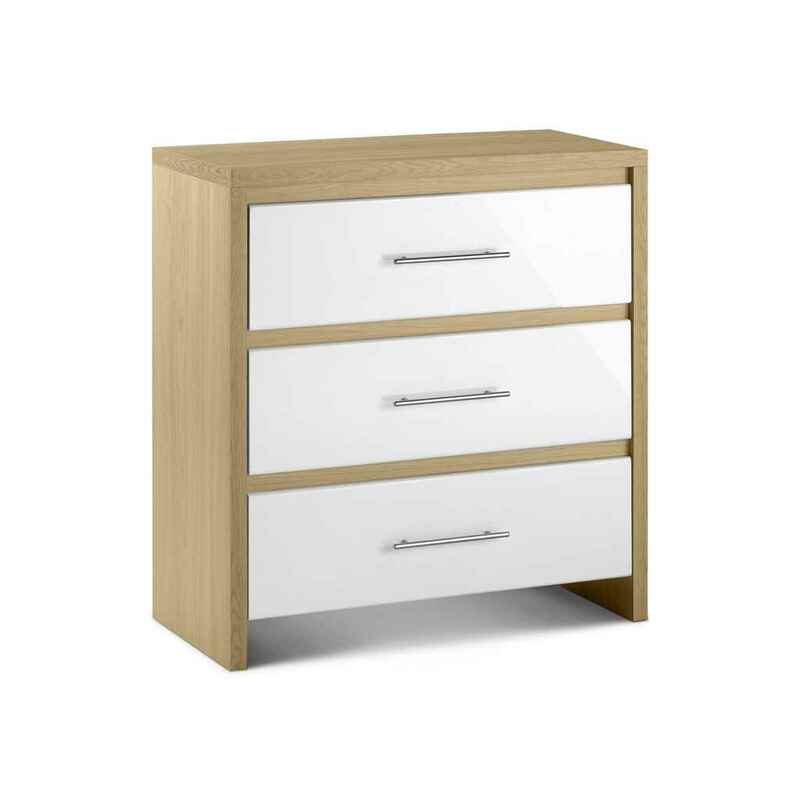 With the high gloss giving a sharp modern twist, it is the perfect addition to your bedroom. Crafted from Oak and White Gloss. This product requires assembly.